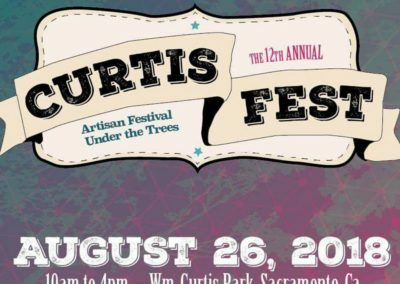 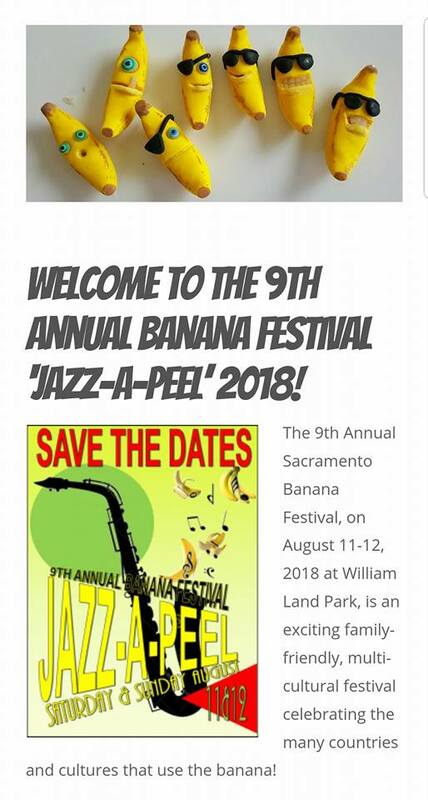 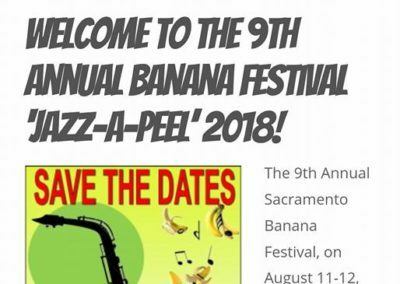 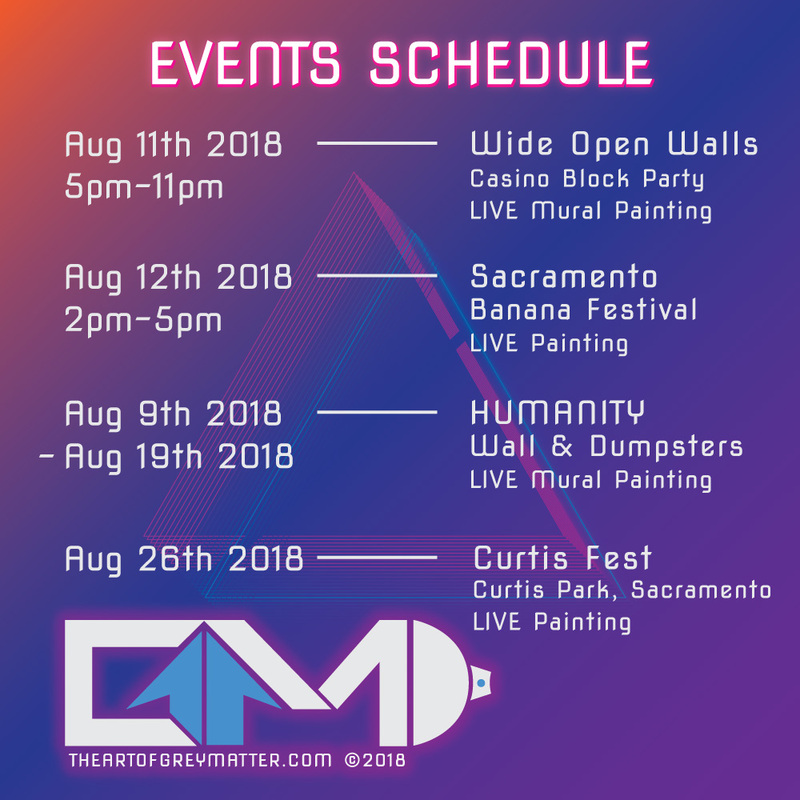 August 2018, I’ll be painting around Sacramento . 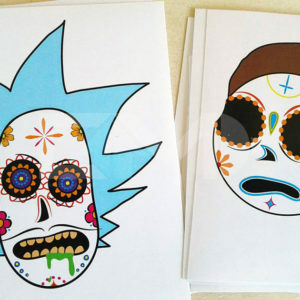 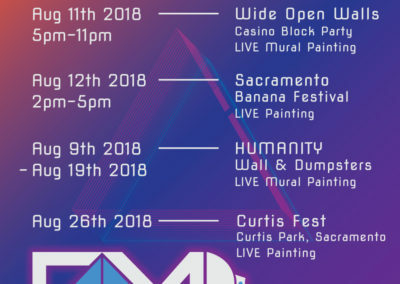 Live painting events, murals, and a few other special events TBA. 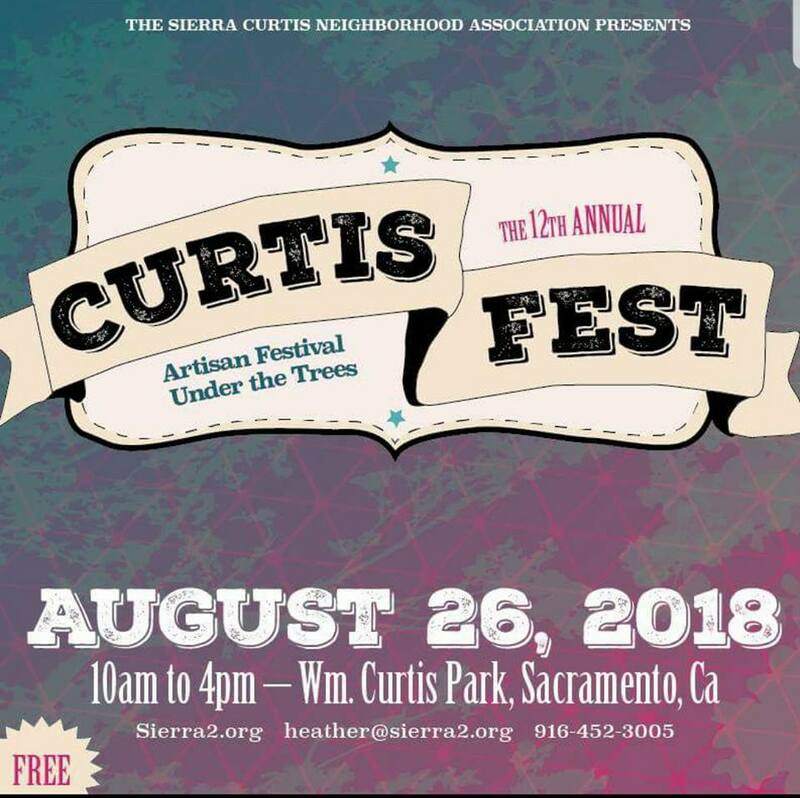 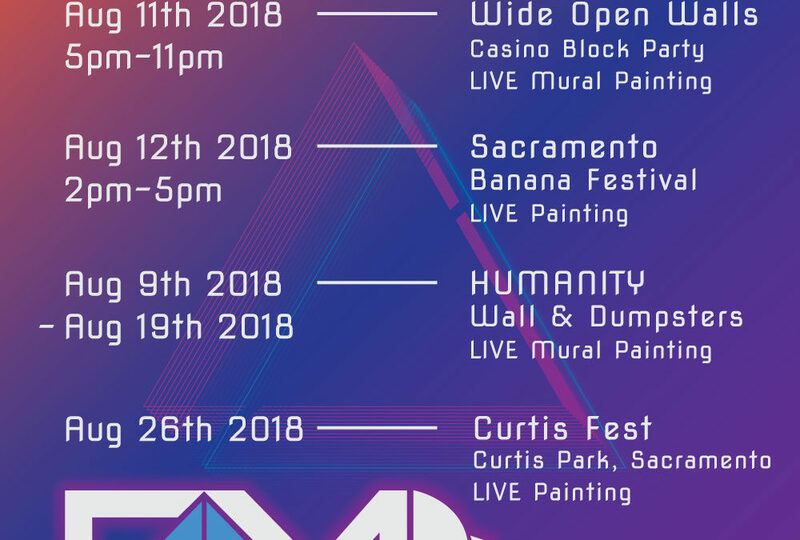 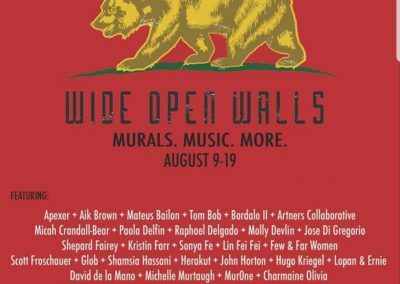 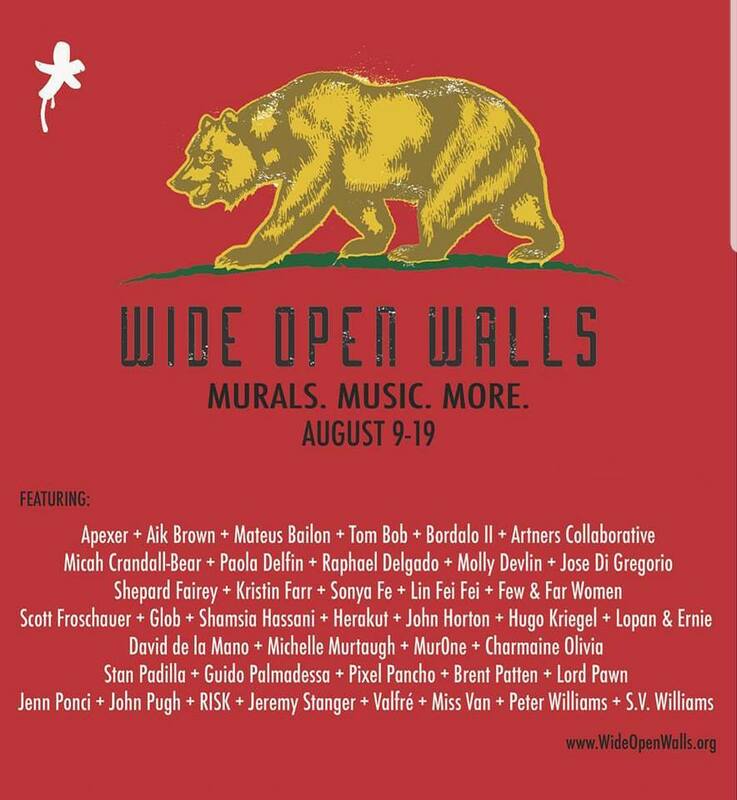 Also painting at Banana Fest, Curtis Fest and returning to last years Wide Open Walls mural ‘HUMANITY’ with the @artnerscollaborative to touch up, restore and remake some of my dumpsters as well as help in completing the 300+ foot wall mural.